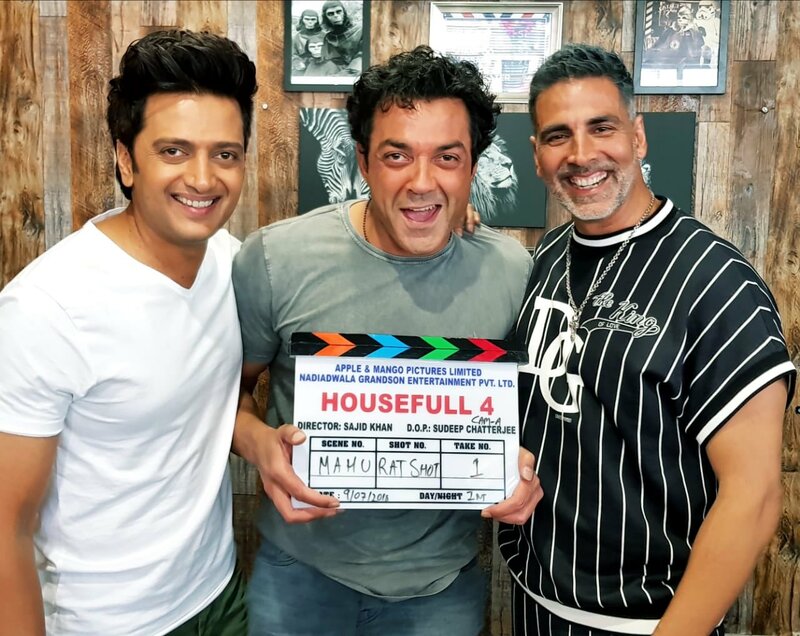 Directed by Sajid Khan, who also directed the first two installments, Housefull 4 is likely to revolve around the theme of reincarnation. Bobby Deol joins Akshay Kumar fotr Housefull 4. Akshay Kumar fans, rejoice! The actor is all set to return at a theatre near you with the fourth installment in the Housefull franchise. He has started shooting for the film with Bobby Deol and Riteish Deshmukh. Bobby will be a new entry to the franchise. Noted film critic and trade analyst Taran Adarsh also shared the news on Twitter. As per reports, the movie will also star 'Shaadi Mein Zaroor Aana' fame Kriti Kharbanda, actress Kriti Sanon and Pooja Hegde. The franchise began with Housefull on Apil 30, 2010 and had Deepika Padukone, Lara Dutta and Arjun Rampal on board. Housefull 2 hit theatres on 6 April 2012 while the third instalment released on 3 June 2016. Meanwhile, the fourth instalment of the film is touted to be the first Indian comedy which would release in 3D and also the most expensive Indian comedy films of all time. As per Nadiadwala Grandson Entertainment, the film will be themed on reincarnation and will hit the screens during Diwali 2019.